Furthermore it seems that all Users including the masteradmin have been deleted/corrupted because when trying to open the BIMcloud Manager I always got the message "Invalid login name or password" and could not log in to the BIMcloud Manager. 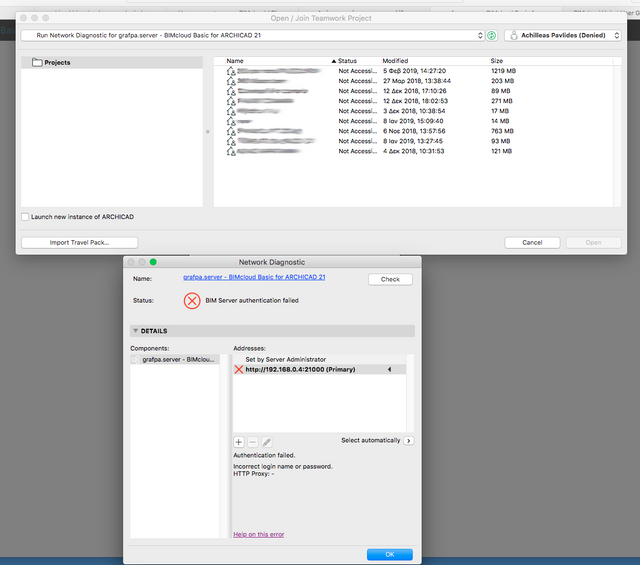 Furthermore when clicking "Lost password" and inserting my credentials there was an error "Client tried to access a not existing item (Error code 6)"
In my attempts to login to BIMcloud Manager I click on "Configure", where I set a new password for Masteradmin. 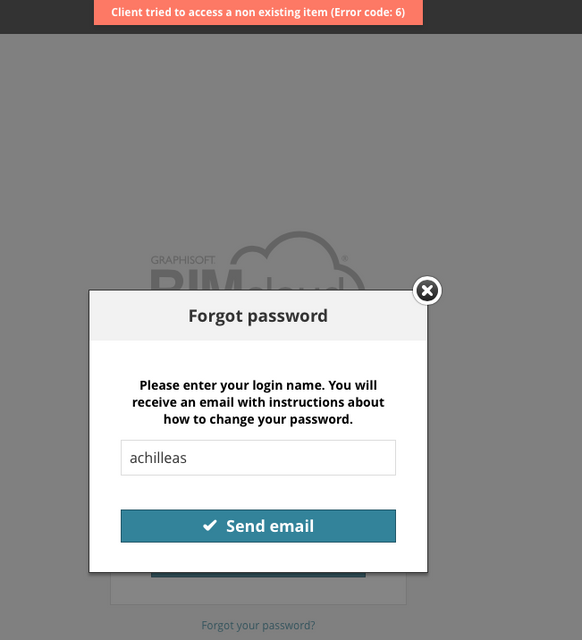 Now I can log in to the BIMcloud Manager but there are no users and no Projects. What can I do to recover the files? Please help!!! Achille managed to solve the issue on his own in the mean time. The BIMcloud Basic Manager's database file has been corrupted because of the power outage. In case you experience something similar, please contact your local GRAPHISOFT reseller for help. Go to BIM Server / Manager / Data, find the most recent .gz file and extract it, Disable the BIMcloud server, delete the plain (no extension) db, rename the extracted file to db, then re-enable the BIMcloud server. If you are not sure when the issue happened, please contact your support!